Today. Amazon has a SanDisk - Ultra Dual 32GB Micro USB/USB 3.0 Type A Flash Drive Sale, $9.49 Free Shipping $25 or with Prime. Expires Soon - Rated 4 out of 5 stars. 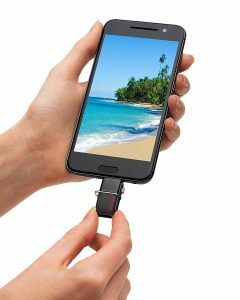 Easily transfer photos, videos and more from your OTG (On The Go)-enabled Android smartphone or tablet to your computer with this SanDisk Ultra flash drive, which features micro USB and USB 3.0 interfaces to simplify connection.